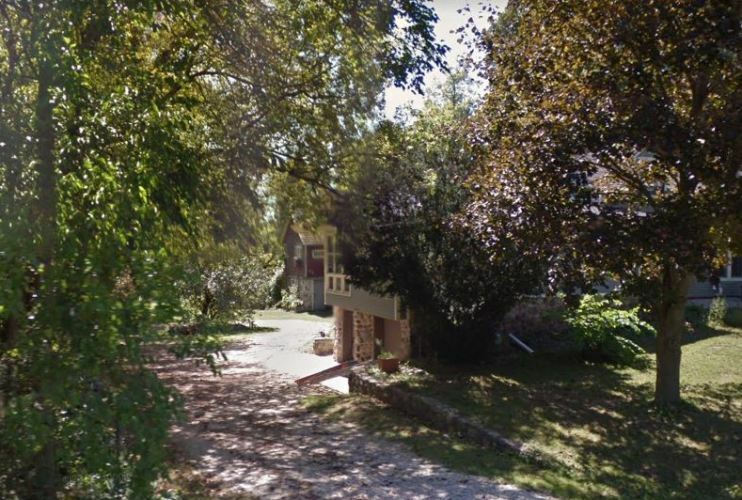 The latest destination on my Virtual Hike was Rome, Wisconsin. This is another special spot in my family history as it is where my 4th Great Grandfather Orsamus Braman migrated to from New York. The segment started at Turkey River Mounds State Preserve in Iowa which is on the Mississippi River. 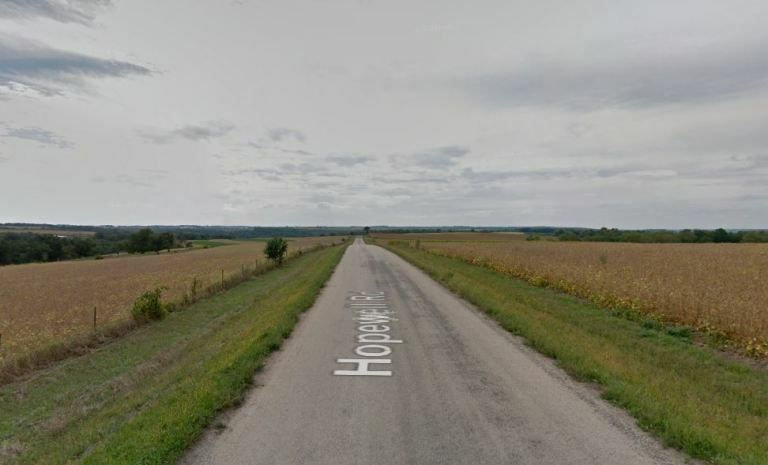 Much of the Virtual Hike route was through the back roads of Wisconsin. Of course, this view is from harvest time and at the time I was virtually hiking through the fields would have been covered with snow. Here we see a map of Rome and find that it is not too large. There is also a large pond near Rome and I was heading just to the north of the pond. 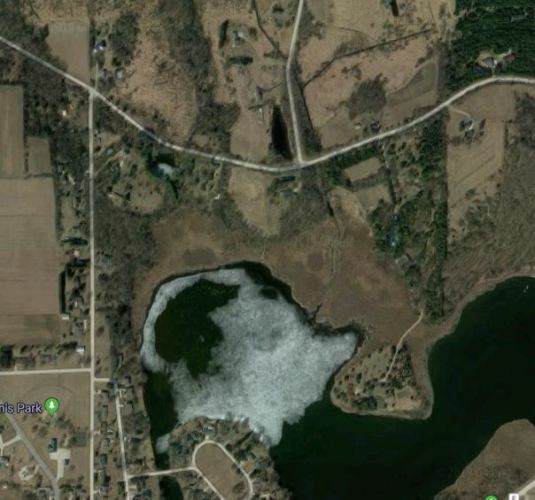 Here is the area around the north part of Rome Pond. 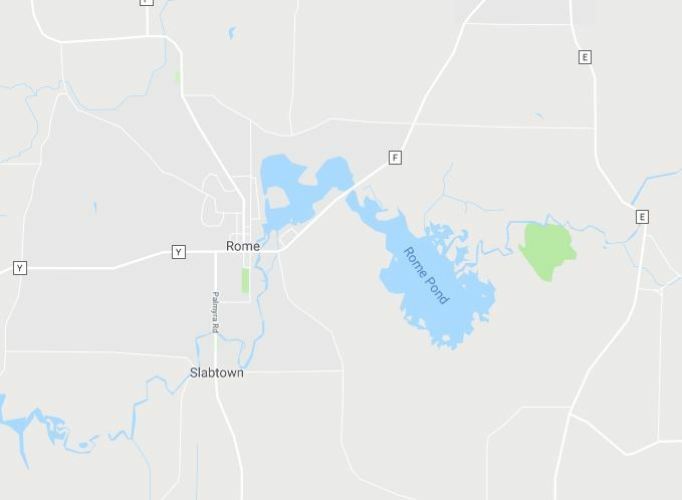 My Braman ancestors lived just north of Rome and the pond. 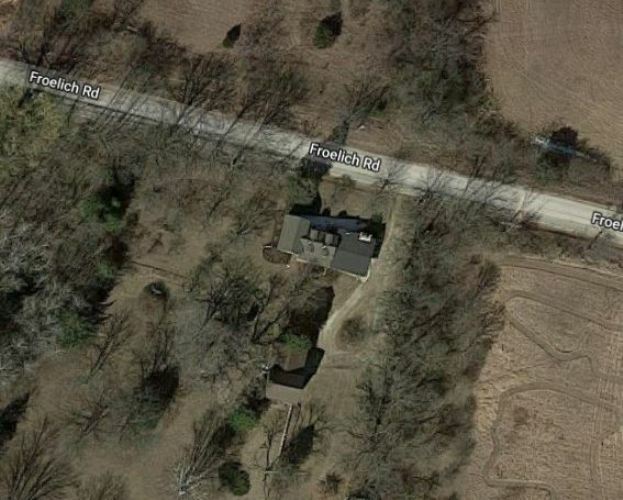 Here you see a closeup of where the Braman family lived. My Great, Great Grandfather was born here and moved to Iowa when he was very young. The house was added on to, but the original part is still standing. I was able to go inside it when I visited there many years ago. Here is a clip from Google Street View. You can see that there is a structure behind the house. Here is a better view of the structure. I took this picture when I visited. The log part of the structure was built by Orsamus Braman. There is another picture of the small barn in my post A Visit to Rome. Hopefully now that the rainy season is over I will make better progress on my Virtual Hike. I really need to get more exercise. 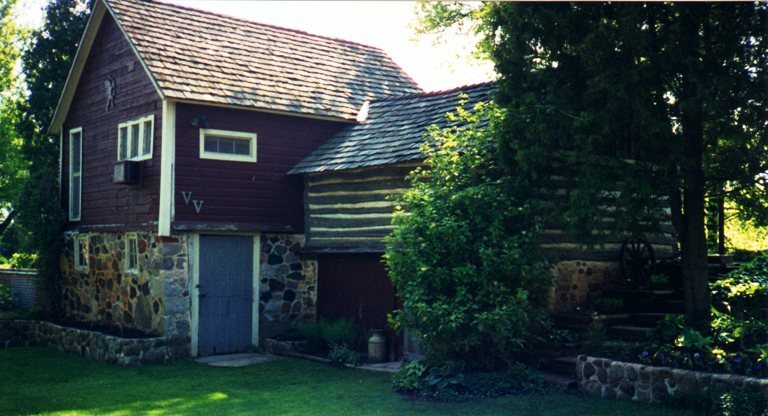 This entry was posted in Culture, Family History, Genealogy, Virtual Hike and tagged Barn, Braman, Hiking, log barn, Pond, Rome Wisconsin. Bookmark the permalink.